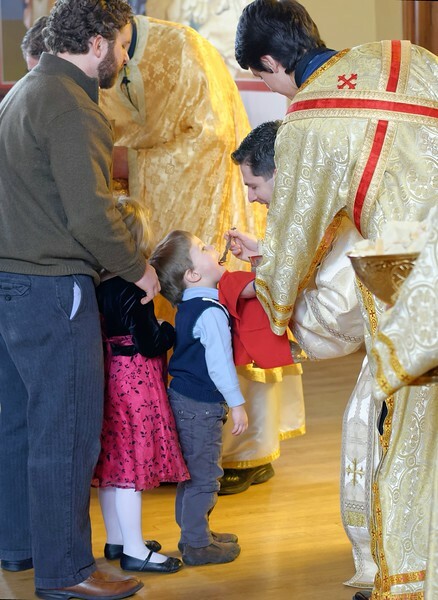 On March 1, 2015, His Eminence Metropolitan Nicholas celebrated the Hierarchical Divine Liturgy for the Sunday of Orthodoxy at the Holy Spirit Church of Rochester, New York. His Eminence was assisted by Fr. Patrick Cowles and Dcn. Alex Radulescu. Following the Divine Liturgy, His Eminence awarded Fr. Cowles with the Offikion of Economos. Photo credits: James Palis.